Hartmann wellheads and valves with their gas-tight components and their long service lives are ideally suited for the equipping of underground storages. As a system supplier to the storage industry, Hartmann is involved in virtually all German oil and gas storage projects. As early as the 70’s the underground storage capacity in Germany was massively extended for the national oil reserves. In oil storage, oil and saturated salt solution (brine) are alternated. With its high salt content, the brine is very corrosive and thus places high demands on wellhead materials. Akin to crude oil storage, gas is also stored in subterranean reservoirs. These can be previously depleted reservoirs, aquifers or artificially produced cavities (caverns). Gas storage serves fundamentally to compensate for the varying seasonal demands. Cavern reservoirs in particular have large access cross sections and are stringently reliant on gas-tight components. Due to these demands, Hartmann has been able to assert itself as market leader for the equipping of gas reservoirs. Originating in Germany, the wellheads are also being deployed in many international projects in England, Denmark, the Netherlands, Portugal, Turkey and China. 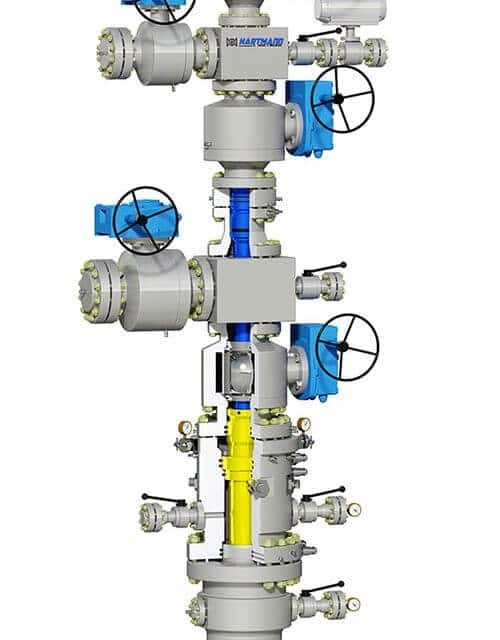 Hartmann ball valves are integrated into the wellheads as a reliable shut-off or are deployed as high-performance valves in brine plants, compressor stations and gas refinement plants. Hartmann wellheads with integrated ball valves are characterized by their special resistance and longevity. 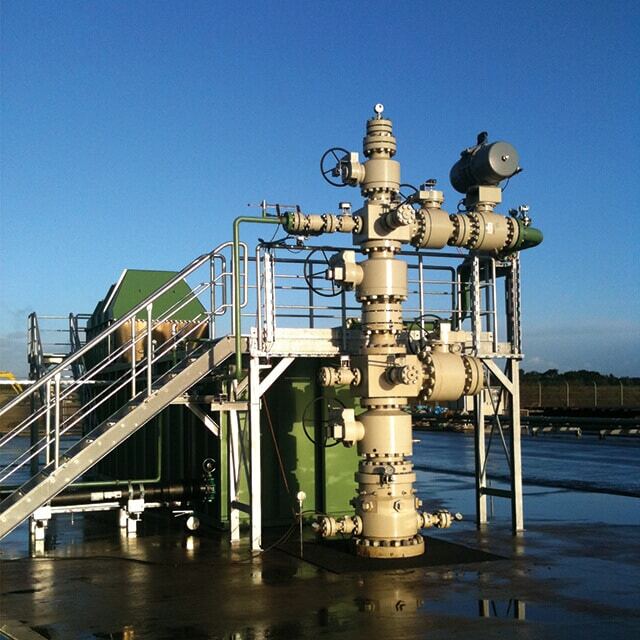 Wellheads with gas-tight ball valves have proven to be very successful in the market. In contrast to oil and gas extraction, storage necessitates considerably larger pipe cross sections. 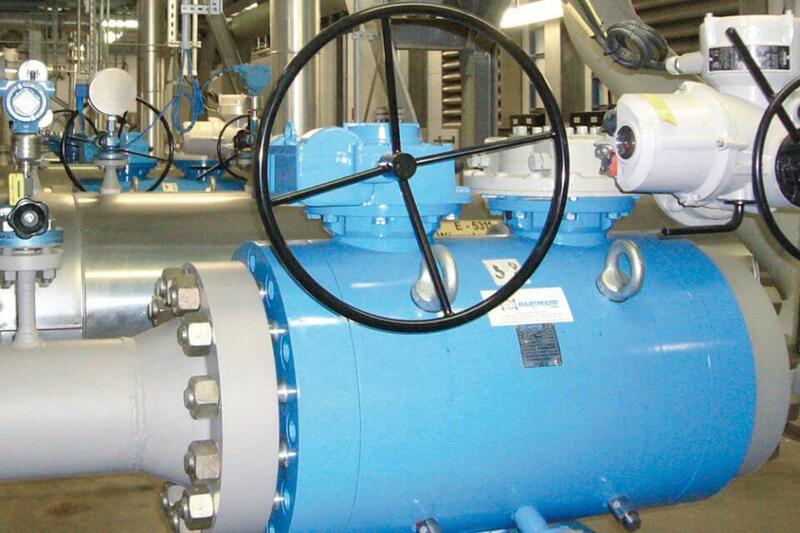 Conventional shut-off concepts such as gate valves are not up to these demands. Which is why our API 6A conformant wellheads are fitted as standard with metal-to-metal sealing ball valves which are also gas-tight. Compared to Gate Valves, they offer greater safety, as they are less prone to blocking, subject to less wear and need not be filled with grease, which could contaminate downstream equipment. Thanks to the purely metallic seal between ball and seat ring, the Hartmann ball valves fulfill a leak rate of A or 0 in all pressure stages and are particularly resistant and require little maintenance. Additional security is provided by a double barrier (DIB 2). Decisive for the long service life are an appropriate selection of materials as well as surface treatments and special coatings, for example against corrosion. Adapted to individual customer requirements Wellheads are in classic design or available. In the latter case, the functions of several valves and wellhead components are combined in one component. This not only minimizes the height, but also increases safety by saving flange connections. In addition, the construction time is reduced, corrosion-prone bolts and nuts are eliminated and an absolutely vertical structure with undisturbed drift diameter is given. This x-mas treee in solid block design has the latest wellhead technology and offers increased safety due to the reduction of interfaces. Many of the existing storage plants undergo a general overhaul after years of operation. The borehole completion is replaced and in the process, the wellheads are brought up to the latest state of technology. In collaboration with our customers we have, for example, been able to significantly increase the safety and integrity of the reservoirs in the past years. Hence strain gauges are used for monitoring the pipes and individual components are combined in blocks (block design) whereby interfaces are reduced. In addition to the metallic sealing he ball valves were also fitted with a second barrier (DIB 2). Remaining flange connections have also been given a second barrier and partial metallic sealing. With these innovative concepts, which the conventional oil and gas industries don’t offer, Hartmann Valves are making a sustainable contribution to long-term safety in reservoir storage. At the same time, professional consultation and support during all project phases are for us a given. The experienced Hartmann service team is available around the clock for installation and maintenance work. 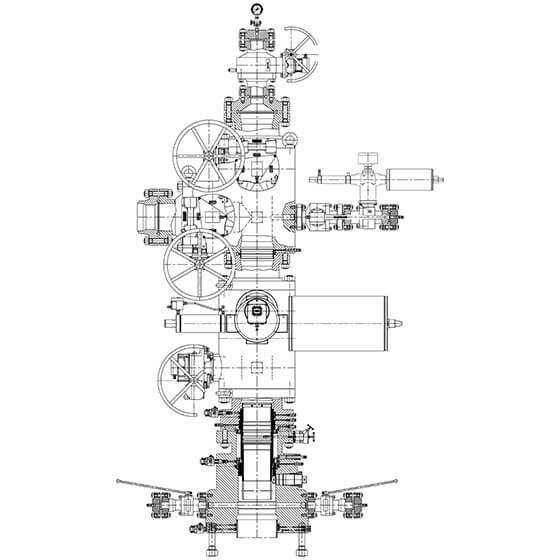 In customized design Hartmann wellheads are available for the safe storage of large amounts of energy. For the continued expansion of renewable energies a storage potential is necessary for enormously large quantities of energy. This energy can and is being stored in underground caverns. In this regard compressed air energy storage (CAES), with components from Hartmann, has been in existence for several decades and a further step (pilot projects have been or are already being implemented) is the storage of hydrogen and synthetic natural gas storage. In the area of hydrogen storage we are able to fall back on the many years of experience gathered from supplying to refineries all over the world. Flexibility and cross-industry experience has meant that the company Hartmann has also established itself as a good partner in the area of these special applications. Hence Hartmann has also equipped the first European storage cavern for helium.